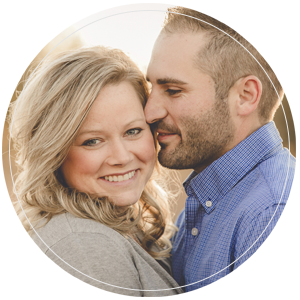 Quad Cities Wedding Photography | How Many Hours Do I Need to Book My Photographer For? How Many Hours Do I Need My Wedding Photographer? This is the million dollar question that comes up all the time when I’m discussing my collections with wedding clients. This is a great question, and I’m here to help you find the answer. First, you need to decide what important details you want covered. Do you want a lot of getting ready shots prior to the ceremony? Do you want us to stay for the entire reception? These details will affect the length of time you will need us there. If you want us to stay through all the important events of your reception and then some open dances, and you want a lot of candid, getting ready shots, you will need full day coverage. If you just want a few getting ready shots, that will knock off some time. If you want us to stay for just the main events in the reception and not until the last guest leaves, then this will also shorten the day. By deciding on a start and/or end time, this is the first step to booking your package. Next, you need to think about the ceremony length. For a Catholic wedding, the ceremonies tend to be longer, so you will need to allot more time for that. If you want us to cover you getting ready, the ceremony, and the reception, I suggest 10 hours for Catholic weddings. If you have a shorter ceremony, you won’t need to take out as much time from your schedule. Every wedding is completely different, and every bride & groom has a different vision for what they want covered and what’s most important to them. This is why I like to sit down with my bride and groom, create a wedding timeline, and then decide on what makes sense for the amount of hours you’d like covered and which package best suits your wants. This communication is key to the success of your wedding day photos, so contact me for your Quad Cities Wedding Photography needs. If you liked this article, you may also like 5 Tips for Selecting Your Wedding Photographer.